After attemp 4X ar RM0.675 unable break up, it start retrace down. On 19 Jan, it retest MA20 support but no reversal sign been formed. MACD bearish crossover BUT still at positive region. If future retrace down, may look for RM0.575 & RM0.565 level. 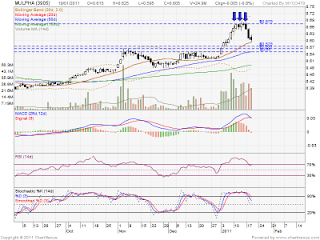 RM0.55 might be strong support level, MA50 support level. 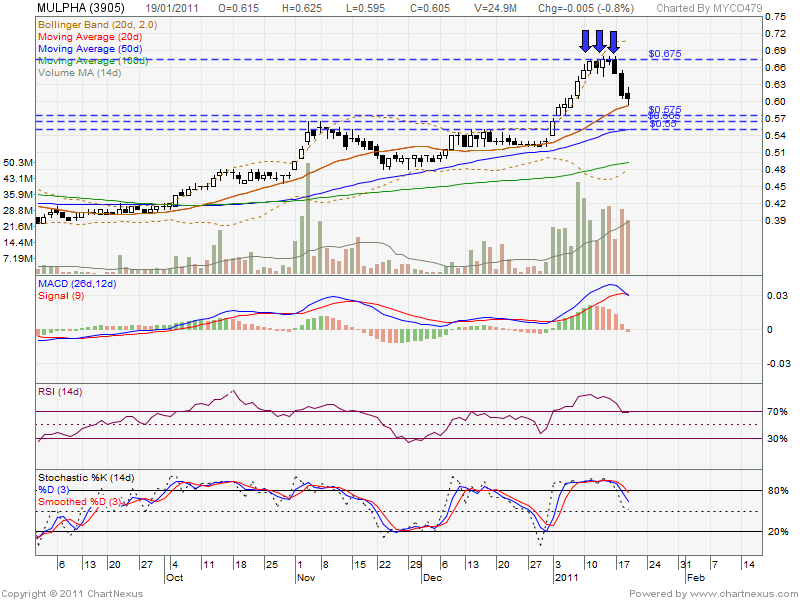 If rebound, may retest RM0.675 resistant level.